- If you drink and drive, speed or don't wear your seat belt in Tennessee, you will get nailed. - And now we have hamster milking from KGB. - It's like Annette Funicello. Except with lots of trash. - MIT Advertising Lab wonders if the verification system CAPTCHA couldn't be used as an ad medium by showing paid brand names instead of made up words. Hey, why not? 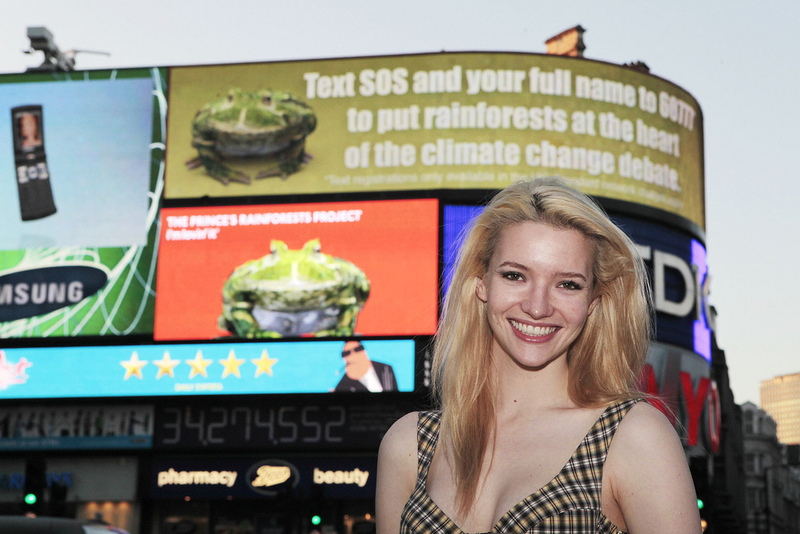 Last week in London's Piccadilly Circus, St Trinian star Talulah Riley posed in front of new Princess Rainforest Project billboards which feature an animated frog. Riley virtually kissed the frog from afar optical allusion-style. McDonald's and Coke are supporters of the effort. The Coke sign tuns green and shows the faces of Daniel Craig, Harrison Ford and Kermit the Frog. Other campiagn elements include MySpace (??? ), Facebook and Twitter. 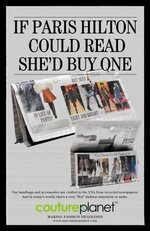 London's Cake Group created the campaign. 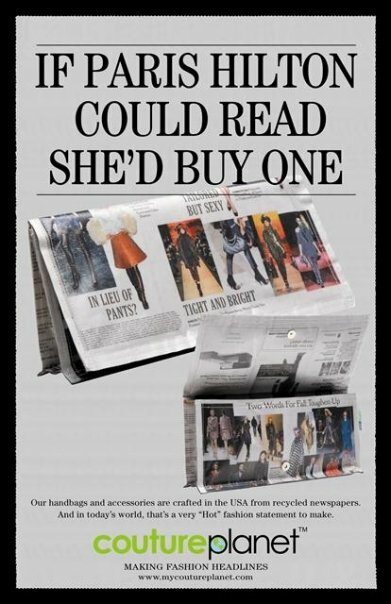 See images here, here and here.